According to the Better Business Bureau, the Universal Underwriters Insurance Company may have moved or is no longer in business. Because the only information found online indicates that this company sells auto warranties, the Universal American Health Insurance Company will be covered instead. Type in your zip code in the box to review your instant health insurance quotes! The Universal American Health Insurance Company has several subsidiaries, including CHCS Services and Memberhealth. 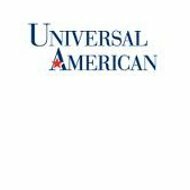 Selling traditional health plans and Medicare supplemental insurance, the Universal American Health Insurance Company is listed in the Fortune 500. Neither an online contact form nor an email address for the Universal American Health Insurance Company is listed on its website. The company has several other locations; however, it is not clear if customers can physically visit them, or if they are just mailing addresses. The Universal American Health Insurance Company employs both insurance professionals and members of the health care sector. Applicants can fill out online profiles with the Universal American Health Insurance Company so that they are better able to be matched with appropriate job openings. Alternatively, they can search the corporate Universal American Health Insurance website for the most recent postings. The majority of the Universal American Health Insurance Company’s policies are sold via independent insurance agents. While insurance agents are also hired by this insurance providers to work at its various locations, outside agents are expected to be just as knowledgeable about its range of products. Senior citizens are the main group of consumers targeted by the Universal American Health Insurance Company. Medicare supplemental insurance plans, life insurance, dental coverage, and long-term medical coverage are also sold. These products are sold in 48 of the 50 US states. Medicare recipients aren’t always senior citizens; however, it is important to understand that the Universal American Health Insurance Company’s line of insurance products is aimed at people that are older in age. The premiums quoted may be higher on average, however, the after hospital bill for a senior citizen is often higher than for those in younger age group. Overall, employees of the Universal American Health Insurance Company believe that they are overworked for the pay that they receive. While there is room for upward mobility, training and educational opportunities may be more limited than the company lets on. These reports come in from entry to mid level employees. In June of this year, A.M. Best reaffirmed the company’s grading demotion to bb. A.M. Best expects that the Universal American Health Insurance Company will continue to face financial difficulties in the future. Medicare recipients that want to supplement their health care coverage via the Universal American Health Insurance Company can get a quote online or on the phone. Generally, the Universal American Health Insurance Company accepts new clients during open enrollment periods or when a consumer is approved for Medicare for the first time. After receiving a quote, consumers can lock in their rates and purchase Universal American Health Insurance Company policies. Premiums may not be due immediately as Medicare is a federally funded insurance program, and coverage begins as soon as the application for coverage is successfully completed. Only licensed insurance agents that have years of experience are able to contract with the Universal American Health Insurance Company. Less experienced insurance agents may be able to seek out agencies that have already developed a partnership with the company. Some agents have reported applying several times before finally being accepted by Universal American Health Insurance Company. Once successfully appointed, insurance agents will need to complete several training programs before being allowed to sell insurance products offered by the Universal American Health Insurance Company. Some of these training programs are available online while others are offered in person. There is an online portal available for independent insurance agents that are authorized to sell for the Universal American Health Insurance Company; however, access is restricted to all other website visitors. See more health insurance quotes by submitting your zip code now!